How to Add, Edit and Delete Customer/Client or Vendor/Supplier? Customers - Customers buy goods and services from your business. Once you mark a contact as a customer in Giddh, you can transact with them via invoices. Vendors - Vendors sell goods and services to your business. Once you mark a contact as a vendor in Giddh, you can transact with them via expenses, bills and purchase. Click on the Manage Group & A/C button. Now click on the Current Liabilities button present in the list at left hand side. Click on Sundry Creditors then Create New and Create A/c button. Provide the appropriate details for creating a New Sundry Creditors. You can also quickly add Vendor while adding Purchase Entry in Ledger. Account Name - Company or Vendor Name can be fill here. GSTIN & State - Vendor’s GSTIN fill here and select the State from drop down option. Address - The address of the Vendor/Supplier can be provided here. Other Details - You can enter (vendor or Supplier) Mobile Number & Email Id here. 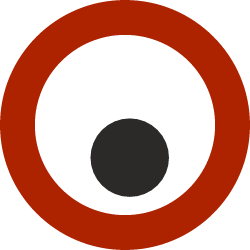 Description - Notes about the contact for your internal use can be provided here and click on Save button. Now click on the Current Assets button present in the list at left hand side. Click on Sundry Debtors then Create New and Create A/c button. Provide the appropriate details for creating a New Sundry Debtors. You can also quickly add Customer while adding Sales Entry in Ledger. Account Name - Company or Customer Name can be fill here. 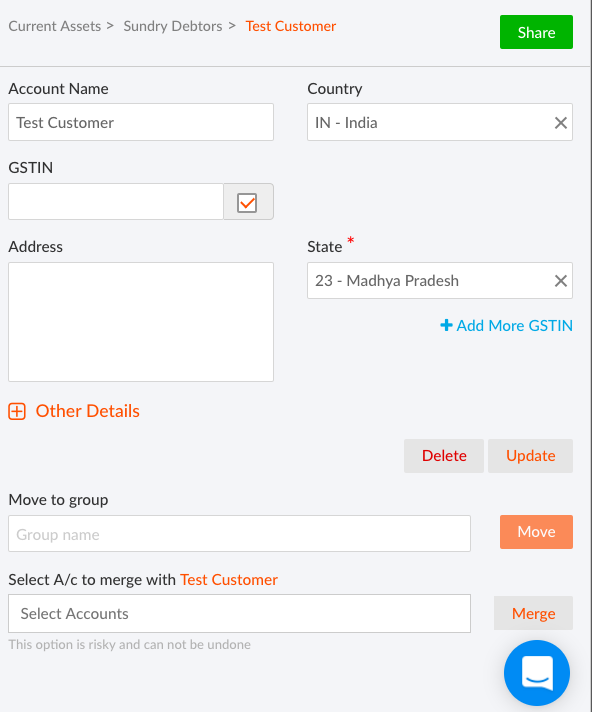 GSTIN & State - Customer’s GSTIN fill here and select the State from drop down option. Address - The billing and shipping addresses of the Customer can be provided here. Other Details - You can enter (Customer’s or Client’s) Mobile Number & Email Id here. Attention To - You can enter Person or Employee Name whom you want to mention on Invoice. Description - Notes about the Customer for your internal use can be provided here and click on Save button. Click on Manage Group & A/C button. Select Current Liabilities if you want to edit Vendor/Supplier or Select Current Assets if you want to edit Customer/Client. According to your requirement select Sundry Creditor/Sundry Debtor and select the Account Name you wish to edit. Make the necessary changes to the previously entered information and save changes by clicking the Update button. You can also delete that account by clicking the Delete button. Move to group - You can move this Account in any group in which you want to move and you will get all the groups from drop down option. Select A/c to Merge with - You can merge this Account with any other Account with which you want to merge.